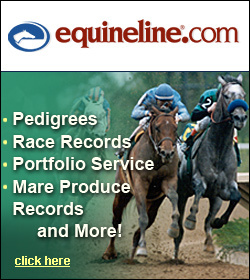 MIAMI BEACH, Fla. (AP)—Rather than retire, Curlin repeated as Horse of the Year. 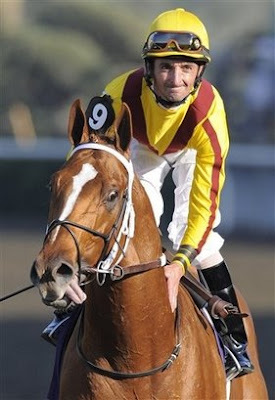 The Dubai World Cup winner took the top honor at the Eclipse Awards once again Monday night. Big Brown, winner of the Kentucky Derby and Preakness, was chosen 3-year-old Male of the Year. 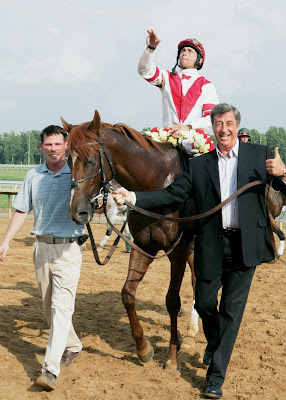 A year ago, Curlin co-owner Jess Jackson decided to bring his horse back as a 4-year-old. Curlin set a North American record with career earnings of $10.5 million before being retired in November. 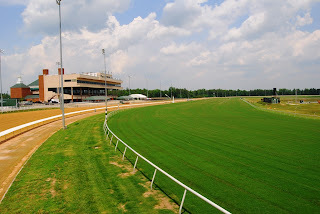 Colonial Downs and the Virginia H.B.P.A. are at an impasse over racing dates. The track wants to run 25 days while the horsemen seek 45 days. A logical compromise would seem to be 35 to 40, but so far that idea hasn’t been embraced by either party either. So what is really going on here? Peter Vegso’s homebred Go Between, winner of the 2008 Pacific Classic (gr. 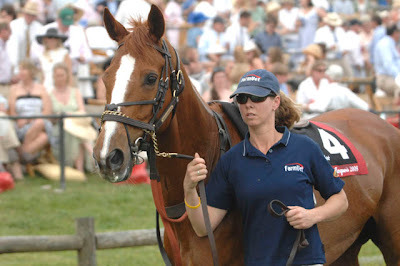 I), died Jan. 12 following a workout at the Payson Park Training Center as the result of a heart problem. VTA BOARD MEMBER OFF TO U.A.E. VTA Director George Rowand and his wife Rita and son Michael have packed up from their home in Fauquier County and headed off to the United Arab Emirates – specifically Ras Al Khaimah, which is in the 7th Emirate, bordering on Oman. Joe Hirsch, the longtime columnist for the Daily Racing Form known as the dean of American turf writers, has died. He was 80. Hirsch’s career spanned more than 50 years, and he chronicled the road to the Kentucky Derby with his detailed reports on prep races in Florida, California, Kentucky and New York. MUSH! Participants of a skijoering race compete in Elbach, southern Germany. Skijoering is a winter sport originating from Scandinavia, where a horse pulls an athlete on skis. More than 5,000 spectators came to see the event. MUSH SOME MORE! Vroni Ruhsamer screams as she takes a curve with her Pony “Bert” during a fun sledge race in the Bavarian village of Elbach.Every year farmers from the region meet with their horses for the traditional race. 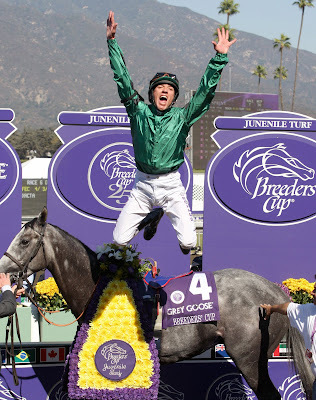 Matt Goins of Lexington won the 2008 Media Eclipse Award for Photography Achievement for his photo of jockey Frankie Dettori leaping off Donativum (GB) in the winner’s circle following his victory in the Grey Goose Breeders’ Cup Juvenile Turf at the Oak Tree meeting at Santa Anita Park on October 25. The photograph appeared in Al-Adiyat, the Dubai-based racing publication, on November 6.